David Redlawsk [Twitter: @DavidRedlawsk, Amazon Author Page] is is James R. Soles Professor and Chair of the Department of Political Science and International Relations at the University of Delware. He wwas previously Director of the Eagleton Center for Public Interest Polling at Rutgers University. During much of the writing of this book he was associate professor of political science at the University of Iowa. He received his Ph.D. from Rutgers, and also holds an M.B.A. from Vanderbilt and a B.A. from Duke. 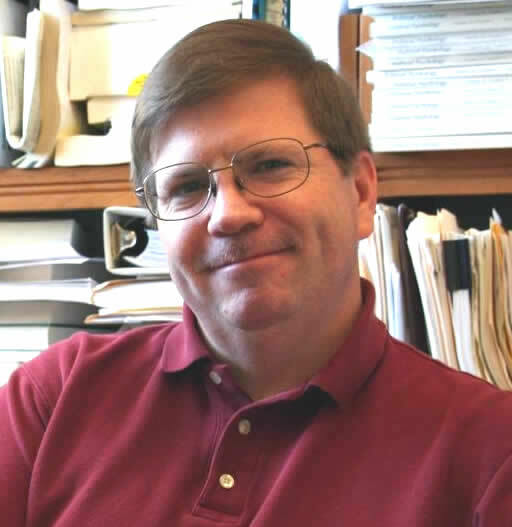 Some of his other books include The Positive Case for Negative Campaigning (2014, University of Chicago Press, with Kyle Mattes), How Voters Decide: Information Processing during an Election Campaign (Cambridge, 2006), and Civic Service: Service Learning with State and Local Government Partners (Jossey-Bass, 2009). Professor Redlawsk served as chair of his Iowa precinct caucus from 2000 to 2008, and chair of the Johnson County Democratic Party during the 2004 Iowa caucuses. In 2008, he was elected as a delegate to the Democratic National Convention in Denver. Caroline Tolbert is Professor of Political Science at the University of Iowa and the coauthor of half a dozen books and more than thirty articles in peer reviewed scholarly journals. Tolbert is coauthor of Digital Citizenship: The Internet Society and Participation (Cambridge, MIT Press, 2008) and Virtual Inequality: Beyond the Digital Divide (Georgetown University Press, 2003). Digital Citizenship was ranked one of 20 best-selling titles in the social sciences by the American Library Association for 2008. She is also coauthor of Educated by Initiative: The Effects of Direct Democracy on Citizens and Political Organizations in the American States (University of Michigan, 2004), co-editor of Democracy in the States: Experiments in Election Reform (Brookings Institution Press, 2008). In 2009 she was named a Collegiate Scholar by the College of Liberal Arts and Sciences at the University of Iowa for excellence in teaching and scholarship. Todd Donovan is professor of political science at Western Washington University, in Bellingham, WA. He has co-authored or co-edited several books, including Demanding Choice: Opinion and Voting in Direct Democracy (University of Michigan Press, 1998), and Reforming the Republic: Political Institutions for the new America (Prentice Hall, 2004). He has also recently published State and Local Politics: Institutions and Reform (Wadsworth, 2010).